The CleanLight Water Purifier ensures with UV-c light for clean and fresh water without viruses, funguses, bacteria and algea. 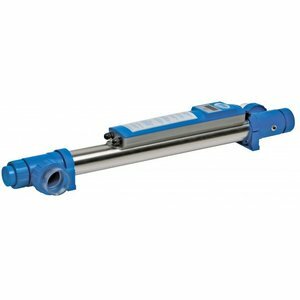 Suitable for pools up to 40,000 gallons. The CleanLight UV-C Water Purifier has a built-in high-frequency electronic ballast. This ballast absorbs current fluctuations, thereby protecting the lamp. The CleanLight Water Purifier also includes an integrated hour meter that accurately monitors the number of hours. You can see exactly when the lamp needs to be replaced. In addition, the stainless-steel interior reflects the UV-C radiation, thereby the efficiency is increased to 35%. Thanks to the CleanLight UV-C Water Purifier your water will be disinfected efficiently and safely, and providing you with excellent water quality. 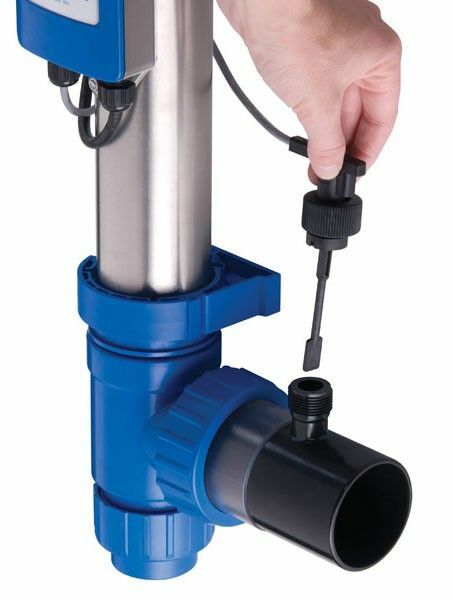 This CleanLight Water Purifier 40 can be used for the disinfection of water in swimming pools, basins or other installations. In this way, keeping the water free from fungi, bacteria and algae is made simple. 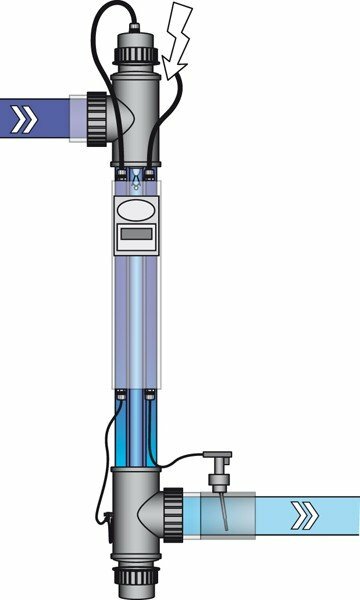 UV light has been used for decades to disinfect or decontaminate hospital rooms, the CleanLight Water Purifier is a simple solution for small to medium quantities of water. It keeps the water clean from bacteria, fungi and algae.